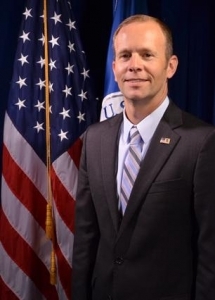 Between wildfires in California and Hurricane Michael in Florida, Federal Emergency Management Agency Administrator Brock Long is focused on disaster relief efforts as he awaits the outcome of a reported criminal probe into his alleged misuse of government vehicles. Last week, Long and Florida Gov. Ron DeSantis visited Panama City, Mexico Beach, Port St. Joe and other coastal areas in Florida which are still cleaning up after the tropical storm ravaged parts of state. Meanwhile, Long continues to deal with his own personal political storm after an investigation by the Department of Homeland Security Inspector General’s office found he improperly used government vehicles and staff for personal reasons during frequent six-hour road trips from FEMA headquarters in Washington to his home in Hickory, NC. During the weekend road trips, FEMA staffers who drove Long stayed in hotels at the taxpayer’s expense. Rules are clear that federal officials who make unauthorized use of government vehicles for home-to-work trips can be removed from office, said Scott Amey, general counsel at the Project on Government Oversight. The Wall Street Journal reported in September that Long’s unauthorized use of vehicles and staff cost the government $151,000, according to the OIG report. In addition to having staffers drive him on home-to-work treks, Long allegedly had government employees drive him and his family during a trip to Hawaii in which he vacationed and conducted government business. Department of Homeland Security Secretary Kirstjen Nielsen ordered Long to reimburse the government “as appropriate,” and referred to the case to the U.S. Attorney’s office for possible criminal prosecution, the Journal reported. In a September press briefing, Long pleaded his case. For weeks, speculation swirled that Long would be fired amid media reports of disagreements with Nielsen about the amount that he should repay the government. For now, it’s unclear where the criminal probe stands. The U.S. Attorney’s Office for the District of Columbia did not respond to a request for comment on the case. “The U.S. attorney’s office has a history of operating slowly, because it has a high bar of proving guilt…But whatever actions come of the attorney’s office, expect the political fallout to happen much sooner,” Holman wrote. William “Brock” Long, who grew up in Newton, NC, was confirmed as FEMA administrator in June 2017 by the U.S. Senate in a 95-4 vote. Long’s case is the latest in a series of ethical scandals that have plagued Trump administration officials. In September 2017, HHS Secretary Tom Price resigned under fire for taking expensive charter jets instead of commercial flights. EPA administrator Scott Pruitt resigned in July 2018 after a series of ethical problems regarding his housing arrangements, spending and raises for staffers. Interior Secretary Ryan Zinke resigned in December as he faced numerous investigations over his real estate dealings, the use of his security detail and use of government vehicles by his wife. “These repeated transgressions have pushed Trump into firing several administration officials – even officials whom Trump has admired – and so I would expect Long to soon become another casualty,” Holman wrote. Amey, of the Project on Government Oversight, said Long should repay the $151,000 in expenses he ran up in his alleged misuse of federal staff and transportation services. Tony Pugh reports for The Newsroom network, of which NC Policy Watch is a member.